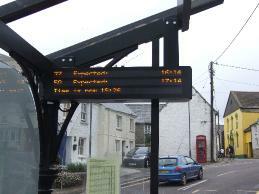 As the follow up to the installation of new bus shelters in Grampound and Probus, electronic bus time information is now operating at these stops. There is a display at the Truro bound shelter in Grampound. There is a display at the Truro bound new shelter in The Square, Probus, and also on a post adjacent to the existing, St Austell bound shelter in The Square. 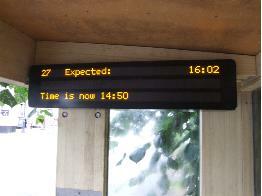 Please note that the displays show bus timetable information. 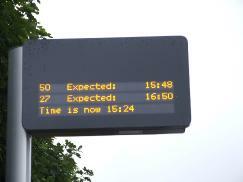 They are not yet showing "real time" information which would show the actual anticipated times of arrival of the buses. This feature is dependent on the necessary equipment being installed in the buses on these routes. Cornwall Council and the bus company are in discussions about when this might be implemented.